What Does “Redeemable at Walmart” on a Printable Coupon Mean? Coupons are generally issued by two places – a product manufacturer or a specific retail store. Manufacturer’s Coupons – These are coupons issued by companies such as Gillette, Pampers, Gerber or Dove. They are valid at any store that accepts coupons and the manufacturer pays the retailer for the coupons value plus .08 per coupon. 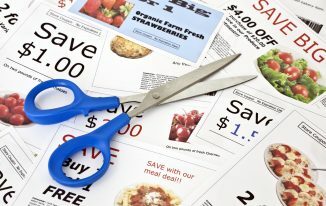 They are easily identified with the label ‘manufacturers coupon’ at the top (see photo) and they represent the bulk of all printable coupons issued today. 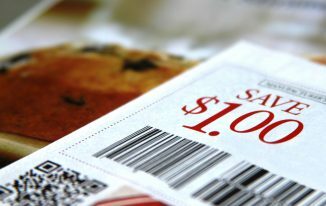 Store Coupons – These are coupons issued by a specific retailer for use only at their stores. These are identified by the label ‘store coupon’ across the top. 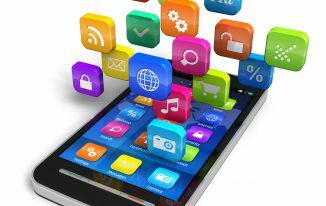 Honestly we are seeing less and less of these as major retailers, such as Target, stopped issuing store coupons and have instead developed their own mobile coupon apps (Target’s Cartwheel for example). So, what is the answer to the original question? It all depends on two things: the exact language on the coupon and the store coupon policy you are trying to redeem it at. We have found that most of the coupons that say “Redeemable at Walmart” are NOT store coupons. They are instead a manufacturer’s coupon that Walmart is paying to advertise on. 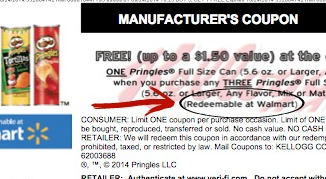 So, if you print a coupon and it says this look at the top of the coupon to see if it is a store or manufacturer’s coupon. If it is, in fact, a store coupon than it is only valid at the store listed (Wal-Mart, Target, Etc.). It is not uncommon to see language such as “Redeemable ONLY at Target” which helps to clear up any confusion. But, if it simply says “Redeemable at Walmart” then you may have the option to use it at any retailer that accepts printable coupons assuming their coupon policy allows for it. We have found that several grocery stores now simply refuse to accept these as they view them as a store coupon – even though they are not. If you are unsure then bring up this question to customer service just to make sure you understand their policy and don’t have to endure a future argument with a clerk who may refuse to accept one. If all else fails you could just simply take the coupon to Walmart where you KNOW they will accept it.